If accepted by the Director of Education, at a new Chinese kindergarten, your pixel designs will be translated into a bathroom wall tile for several wall sections of the school! Thanks so much to all who took the time to vote and participate in the challenge! Check out the Time Machine forum thread for more information. It's time to vote for the latest pixel art challenge: Ghost Pixography. Colours - Max 27. Must include pure black (#000000). The guys from vlambeer, creators of Super Crate Box, have released their new game. Serious Sam: A Random Encounter. Show us a scene with a ghost in it. Note: There must be something that clearly suggests the presence of the ghost in the image. Check out some of these photos for some inspiration. Canvas Size - Max 300 x 200. Either horizontal or vertical. Thanks so much to all who took the time to vote and participate in the challenge! Check out the Apple ][ forum thread for more information. It's time to vote for the latest pixel art challenge: Time Machine. PJ member Souly took part in a local 48 hour pixel animation jam hosted by Quickdraw Animation Society in May 2011. The theme was to make an animation using 8-bit in any form or concept. Voxel, Graph-Paper, or Pixel art. Participants could work as teams of 1-4 people. KOMO-4 News feature. Office Supply Pixel art invades Seattle. Thanks so much to all who took the time to vote and participate in the challenge! Check out the Propaganda forum thread for more information. It's time to vote for the latest pixel art challenge: Apple ][. Design an original time machine device and then show your machine in two different time periods - one on the left side of the canvas and one on the right side of the canvas. So, for example, you could show your time machine on the left in 1900 and the one on the right in 2012. Make sure you tell us which years your time machine is in. Canvas Size - Use template below; each time period must be contained within one of the two sides. Two excellent pixel games made by Kenney Vleugels. Enjoy! Draw pixelart in your browser HERE, join in while it's still hot! Create pixel art 32x32 and save/download it HERE. 14 color palette but you can set the level of transparency and obtain any color you want! Many tools, plus you can see directly how your pixel art would look if tiled. Our precious pixels are influencing the runways and furniture. What a glorious time to be alive. PJ member DawnBringer and Dan Curran (Zombie Head Games) have released their new Flashgame: Zombie TD - Reborn, a tower-defence game that features well-balanced gameplay, some nice pixelart and a lot of zombies! Thanks so much to all who took the time to vote and participate in the challenge! Check out the The RPG Party forum thread for more information. It's time to vote for the latest pixel art challenge: Propaganda. Given the recent passing of Steve Jobs, it seems only fitting to have an Apple-related challenge. 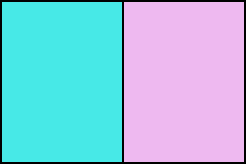 This week all we want you to do is use the Apple ][ palette shown below to pixel anything of your choosing. Exactly 140 (width) x 192 (height). Exactly 280 (width) x 192 (height). The following pixel artists produced Pixel Joint's top rated pixel art for August 2011. Many thanks go out to this month's top pixel artists and all the members who took time to rate. The following pixel artists produced Pixel Joint's top rated pixel art for September 2011. Many thanks go out to this month's top pixel artists and all the members who took time to rate. A beautifully crafted pixel TV spot/music video. Created for FOX in Italy, chocked full of 80's glory. See it HERE and Enjoy! PJ member schrumpfkopf, recently expanded his tool-chain to create flash-builds out off his iPhone games. Thanks so much to all who took the time to vote and participate in the challenge! Check out the Memory forum thread for more information. It's time to vote for the latest pixel art challenge: The RPG Party. Design your own original propaganda poster (this means no pixel renditions of existing designs). It can be for any cause you like - from real to fictional. Canvas Size - 150 (width) x 200 (height). PJ member iLKke, was requested to create a rudimentary tutorial for pixelling favicon-sized sprites. Fairly simple stuff, but useful to some.